How does your electricity consumption stack up against other households in your area? 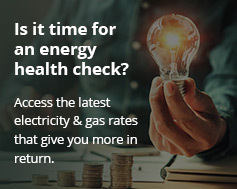 A new online tool developed by the Australian Government shows Aussie households how they compare to other households of a similar size in their area and what they can do to reduce their power bills. Energy Made Easy is a web site operated by the Australian Energy Regulator, developed under the National Energy Retail Law*, which came into effect on 1 July 2012. The goal of the service is to help consumers in becoming more energy efficient and to assist in decrypting the often confusing world of Australian electricity and gas retail markets. An interesting feature of the site allows the user to determine the average electricity usage of a household of a particular size in a specific area. The figures presented are based on research conducted by ACIL Tasman on behalf of the Australian Government’s Consumer Information and Implementation Committee (CIIC). (Note: From 1 October 2012, all Australian electricity bills will also detail average electricity usage information for households of a similar size in the customer’s area). The website also offers extensive information on energy efficiency, deciphering electricity and gas contracts, consumer rights and obligations, plus explains how energy markets in Australia work. Another service currently under development on Energy Made Easy is the ability to search for electricity and gas offers available in a specific area – including search options for solar households and green energy plans. While currently only displaying offers for residential or small business customer in the ACT and small business electricity customers in Tasmania; consumers in other states are presented with links to access external resources where they can determine this information. *The National Energy Retail Law establishes a national regime for the regulation of non-economic distribution and retail regulation of gas and electricity.